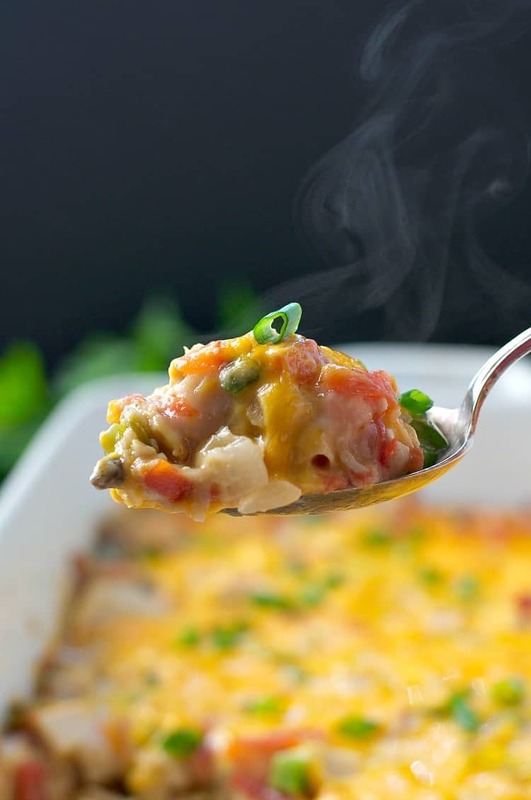 A cosy and comforting king ranch chicken casserole that's easy to prepare and perfect for weeknights! 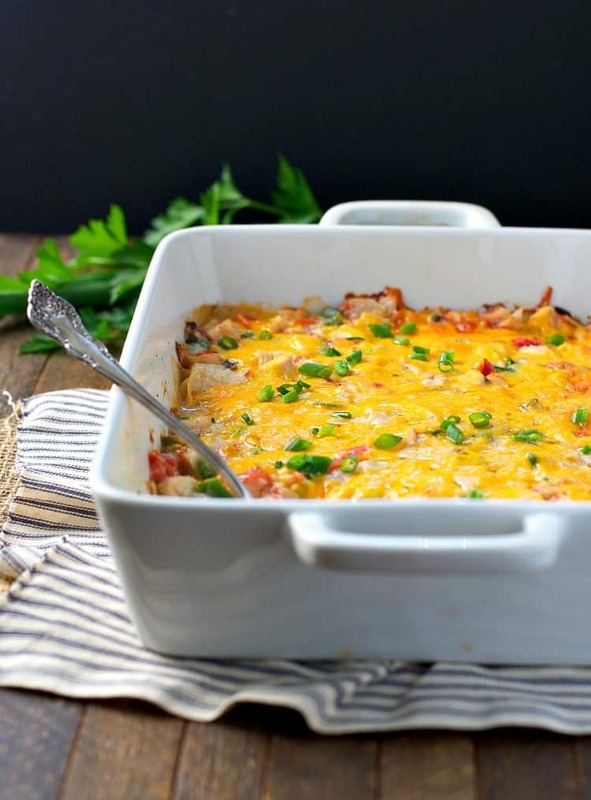 This one dish King Ranch Chicken Casserole is an easy dinner that only requires 10 minutes of prep, and it can be made ahead of time and stored in the freezer for a later date. 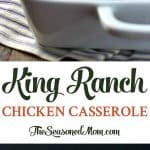 This ranch chicken casserole is super comforting and has become a family favorite for busy weeknights! Made with a few shortcut ingredients this easy meal takes 10 minutes to prepare and then cooks away in the oven whilst you get on with other things. 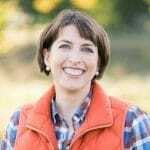 Pulling a hot and cheesy King Ranch Chicken Casserole from the oven at 6:00 p.m., setting the table, and sitting down to a homemade dinner with the family is always one of the best parts of my day. 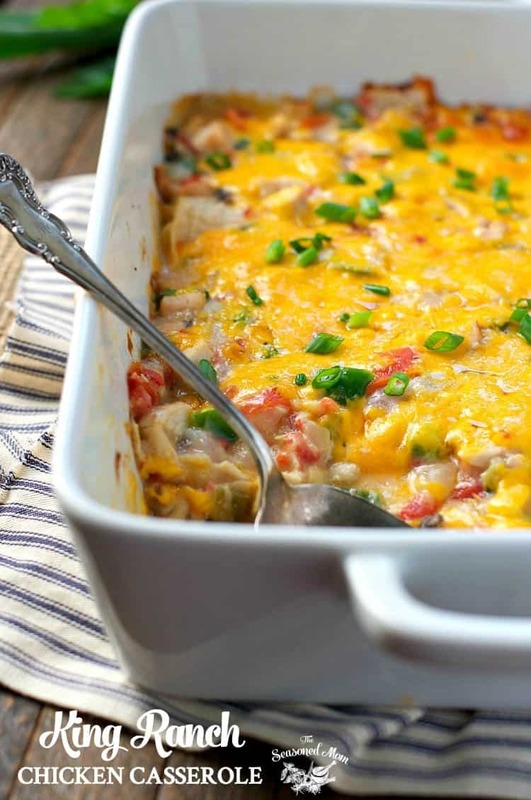 If you’re not familiar with King Ranch Chicken, it’s a classic Tex-Mex potluck favorite that includes Ro-Tel diced tomatoes with green chilies, chicken in a cream sauce, and plenty of cheese! I include layers of wholegrain corn tortillas here, as well as chopped bell pepper and onion, for a complete and satisfying meal. It’s a classic for a reason — and it just might become part of your dinner routine, too! 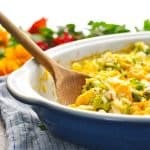 The routine of preparing a homemade supper — even when it’s as basic as this one dish King Ranch Chicken — and sitting down at the end of the day to enjoy it, brings a sense of calm to our otherwise chaotic household. No matter how many items are left unchecked on my “to do” list from the day, and no matter how many times I lost my patience with the kids over the course of the day, I can find a sense of accomplishment in knowing that I managed to get a satisfying dinner on the table…one more time! 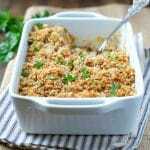 This casserole can be prepared in advance and frozen before baking. If you’re cooking it frozen, you will need to increase the baking time to 45-60 minutes. Spray a 13 x 9-inch baking dish with cooking spray and set aside. In a large bowl, stir together chicken, soup, tomatoes and chilies, bell pepper, and onion. Place four of the tortillas in an even layer in the bottom of the prepared baking dish. I like to cut the tortillas in half so that it’s easier to cover the dish. It’s fine if they overlap some, too. Spread half of the chicken mixture over the tortillas. Sprinkle with half of the cheese. Repeat layers with remaining ingredients, finishing with cheese on top. Bake, uncovered, for 25-30 minutes (or until heated through and bubbly). Note: This casserole can be prepared in advance and frozen before baking. If you’re cooking it frozen, you will need to increase the baking time to 45-60 minutes. I am the exact same way! I thrive on routine, and if mine is thrown off, my day is out of whack! 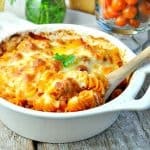 This casserole looks like a dinner routine that I could get into weekly. Love the peppers and rotel in here. Looks SO good, Blair! I have a similar recipe except instead of the soup and the Rotel tomatoes, I use 1 cup of salsa and 1 cup of milk! Everything else is the same. We love it here. My former SIL gave me the recipe many years ago and I’ve made it a lot. 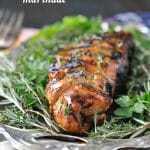 I love taking it to potlucks–it disappears quickly. It’s a great go-to recipe, I agree. (We call it Chicken Enchilada Casserole). That’s funny, Diane! I never thought about the fact that it’s basically an enchilada casserole! 😂 Whatever you call it, it’s a keeper! 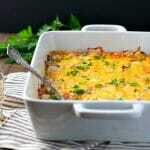 Another delicious casserole recipe! You are the casserole queen! Life is just BUSY! 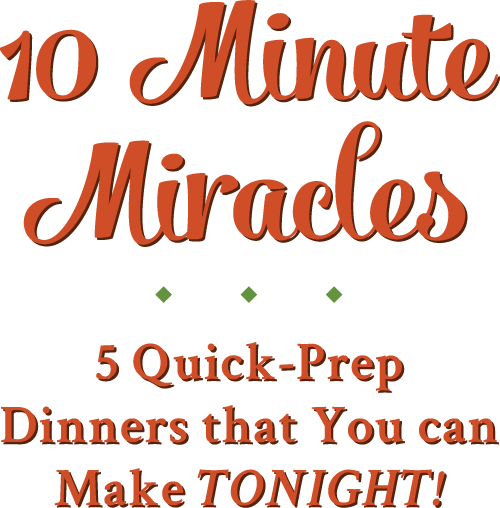 With kids, even busier, with 3 boys…out of control.. LOL A few great recipes that are quick to throw together and into the oven and you can make in advance are sure to be a hit in all of our busy lives. My husband is diabetic. Do you think this would good with a layer of black beans on the bottom? Absolutely, Khrystine! Sounds like a great idea! Could you use flour tortilla instead of corn. Or do you know of a substitute for the corn tortillas.? Been making this for a long time. I make the sauce and halve it. Add half of the tortillas in a casserole for one night’s dinner and freeze the rest of the sauce. When I am ready for the second half, I thaw the frozen sauce and when thawed proceed to add the rest of the tortillas. Great tip, Teri! Thank you!!! I love when I can freeze food and get two meals for one effort. Genius!!! Oh, good to know that the Greek yogurt works too! Thanks, Maria!